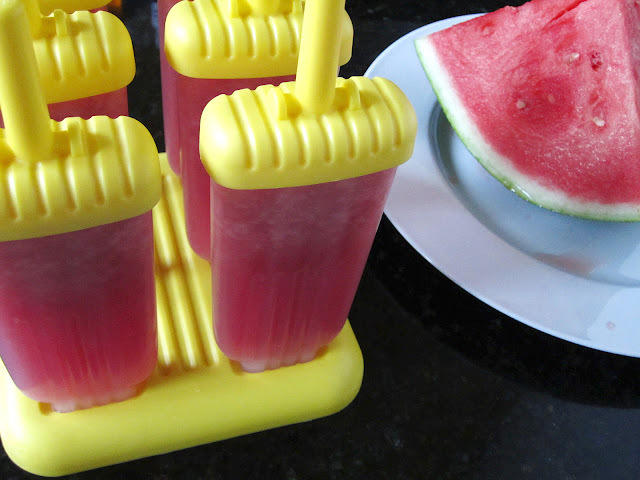 A week into the blog and the watermelon agua fresca is (by far) the most visited post, so in thinking we could try something a bit new, we decided to try our hand at agua fresca popsicles! 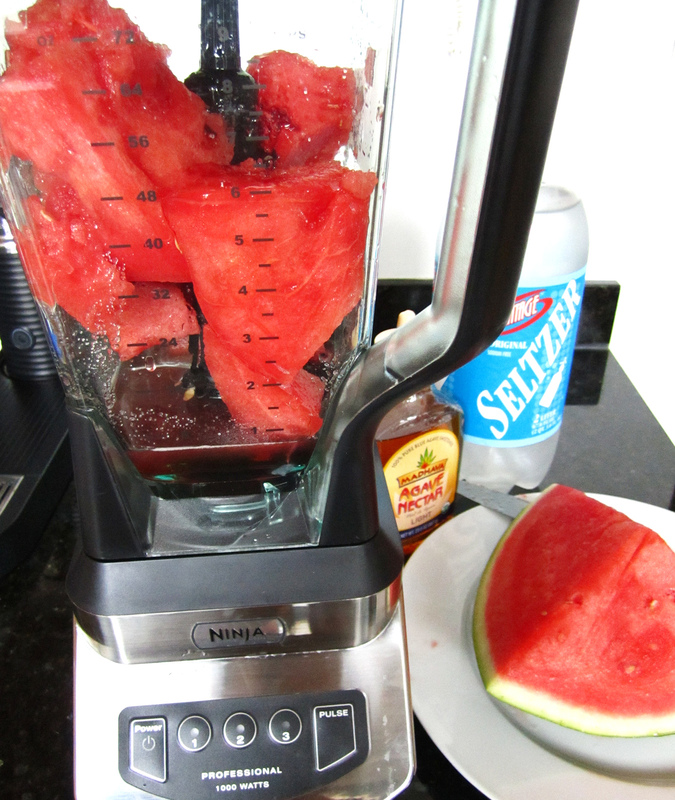 Blend the watermelon and agave until smooth (1-2 minutes) then add the seltzer and pulse blend to mix. 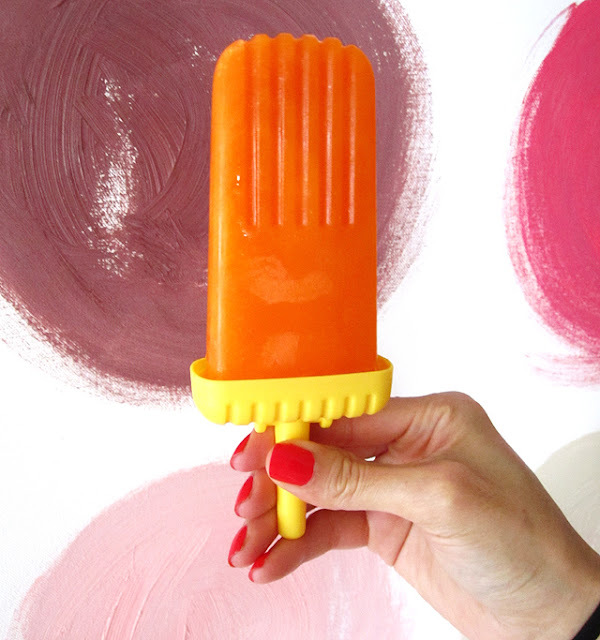 Pour the mix into the popsicle molds and freeze until hard. Easy, right? The neat thing is that the seltzer bubbles were still very much there and gave the popsicles a light taste. 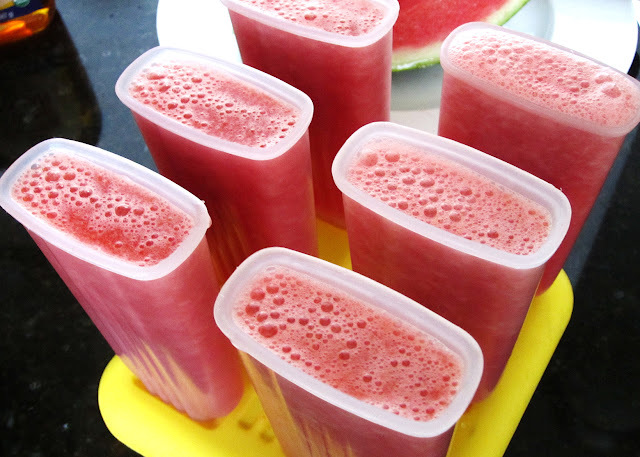 If you want a stronger taste use less water/more watermelon. The sweetness is a question of your own taste. Couple of notes - my mother (a chef) taught me that a little pectin (very small amount) will help keep popsicles from over-freezing and getting too hard, and will give it that same thickened consistency as store-bought popsicles (which the agave also does). You can simplify this by adding about 1/4 packet of (sweetened) Jello, but use a complimentary flavor. However, if you use seltzer, the carbonation will do the same thing. Just on the side, I had some fresh carrot juice in the fridge and added it to some fresh squeezed orange juice (about 3 parts carrot to 1 part orange) and a teaspoon of agave and made a whole new flavor. The point is - try the flavors you like best and experiment! So yummy looking! And refreshing too! 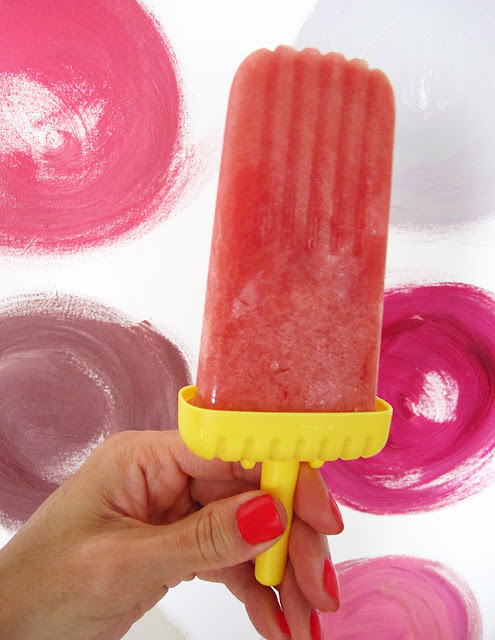 I haven't made popsicles in so long. My mom used to make them all the time growing up. They were delicious...so glad we got the molds!